The play Red Skies Over the Severn was my third professional, main stage commission as a playwright back in 2001. It had to be topical so it was written in a great hurry. I think it gained energy from that process. My thanks to the commissioning Worcester Theatre Company and director Jenny Stephens. The play was received pretty well. The Guardian and The Telegraph sent their top reviewers, so the coverage was good. I am slowly closing down my old web site and moving the content to this one. Red Skies… is the first page to move across. I felt the play disappeared after the run in Worcester. There has never been a second production. I don’t like that it has disappeared without trace so I’ve published the script. You can buy it here or, if it seems expensive, get in touch and I’ll see if I can arrange a deal. I will probably publish more scripts in the next few months. We went to Worcester recently for a friend’s birthday party. I’ve still got mixed feelings about the city but it was a really nice weekend. I came away enthused about new projects and glad to be back in touch with some great people again. The party was on a river boat. 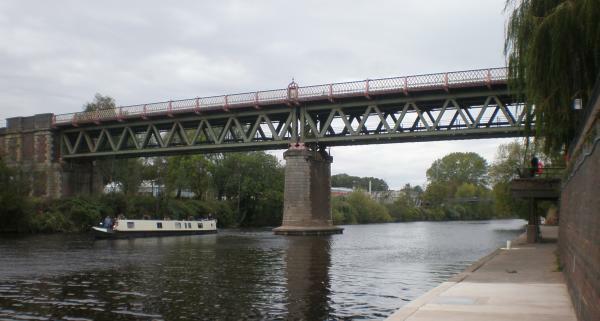 As we waited on the quay this narrow boat came under the railway bridge. 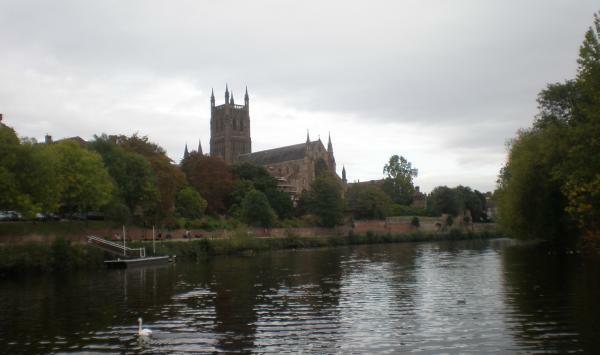 Worcester Cathedral. King John is buried there. I once pretended to urinate against the font in a community play there. Edward Elgar's father's music shop was here before they knocked it down. 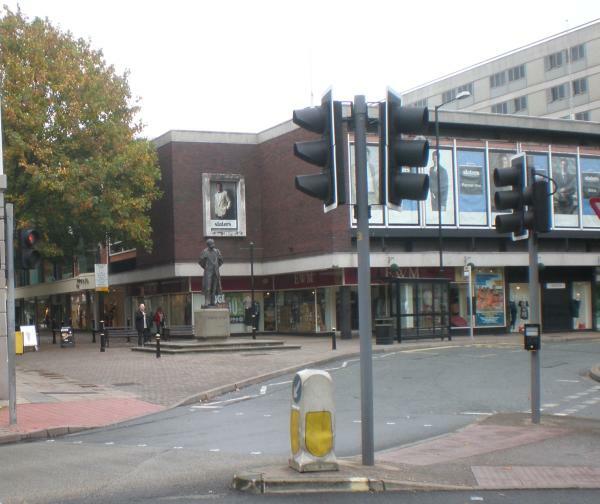 Edward's statue now graces the roundabout. This was once a fine street of medieval houses leading to the Cathedral. 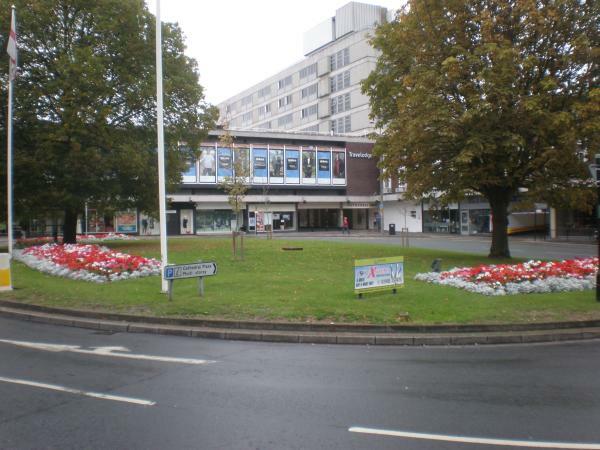 They were demolished in the 60s as part of a road widening scheme. The last Cathedral lychgate in England stood here. It was demolished in 1963. There are some pictures of the old lich gate here. The 60s road scheme separates the city centre from the river and the Cathedral. It’s a shame. I hadn’t see this art work before. It’s on the two bridge parapets of the canal bridge near The Commandery (well worth a visit). 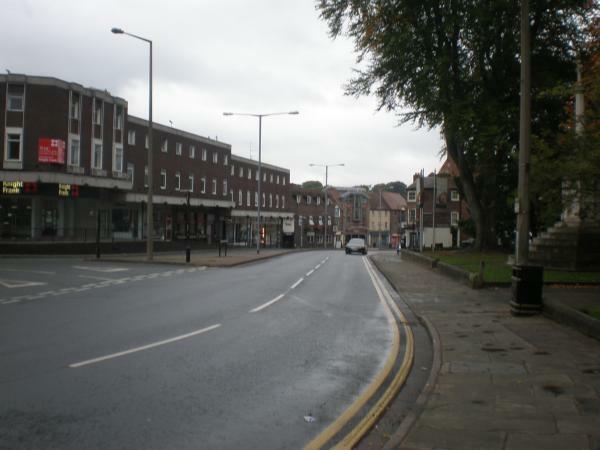 Worcester ‘hosted’ two key battles of the English Civil War. >Last Thursday I travelled up to Worcester for a wake. Like all good wakes it was a cheerful affair, but it marked a passing. In 2003 Sheila Farrell, Deborah Rees, Peter Wild and I set up an arts production company called artworcs. This was partly a reaction to the City Council cutting funding to the city’s producing theatre, The Swan, and partly a desire to create a company to produce cross-art form work utilising the professional talent based in and around Worcester. Between 2003 and 2007 artworcs created a whole series of projects. These included Upside Down and Back to Front in 2005 (visual arts, education workshops and a newly commissioned play) and The Worcester Pilgrim (visual arts, early music and Alex Jones’ play of the same name performed in Worcester Cathedral). The company collaborated with many great artists and educators in all of these projects. Although the team remain individually active in the arts, artworcs is now closed for business. We achieved a lot. The wake was a great chance to catch up with Sheila, Deborah and Peter. I was staying in the Midlands for the weekend’s 20/20 conference in Birmingham (I’ll write about that in the next few days). Friday was an empty day, so I got on my bike and headed over Ankerdine to Herefordshire via the Bromyard Downs. This was a ride through my training grounds of 30 years ago. The rhythm of the landscape (slower than it used to be) and the unfolding map of my memory made it a special ride. It’s not quite nostalgia – physical effort keeps you in the moment. But there’s a kind of muscle memory (not always accurate – I was caught out on some bends) that speaks the past through you. It makes me realise how little I know the area I now live in. It takes years to get the whole map in your head. I’m in Birmingham and it’s raining. P is off to Liverpool for the weekend. This should mean I have the weekend dedicated to writing and shed putting-up (I shy away from the phrase ‘shed erection’ here to avoid startling the nervous), but unfortunately I have a meeting in Worcester tomorrow. This will mean a 6am start and a late return. 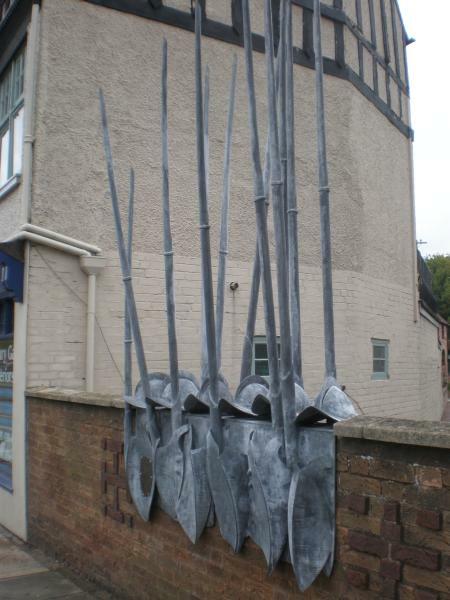 The meeting – on artworcs’ Worcester Pilgrim Project – is important, but I dislike going back to to the city. I lived in and around the place for 28 years, working in the same office for 18 of those. Eventually I ran away to the circus (i.e. writing plays). 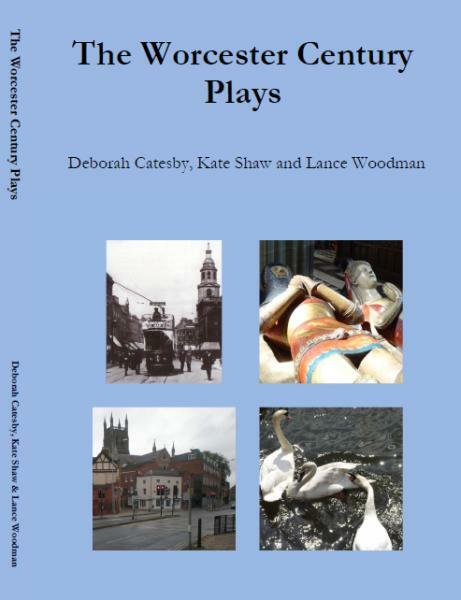 Things went well and the city’s theatre (The Swan) was a key part of my development. Then in 2002, out of the blue, the Tory-controlled City Council cut the theatre’s funding and professional production was lost. The loss of the company was dispiriting and hit me and others hard. Four years later the subject still makes me angry. Moving to London is a big part of laying these ghosts. On the positive side, I’ll be meeting up with good friends and planning high quality professional arts production for the city. The work goes on.